Tomorrow the U.S. Fish and Wildlife Service will use an industrial rock crusher to destroy its six-ton stockpile of confiscated elephant ivory. The event is both a demonstration of the U.S.’s commitment to stop ivory trafficking and its belief that the legal ivory trade stimulates consumer demand and promotes elephant poaching. What it is not is a memorial to the elephants that died and a return of their ivory remains to the earth from which they came. In the following weeks, there will be much discussion about what to do with the crushed ivory. Nothing has yet been decided. I propose using the ivory dust to create a mandala. 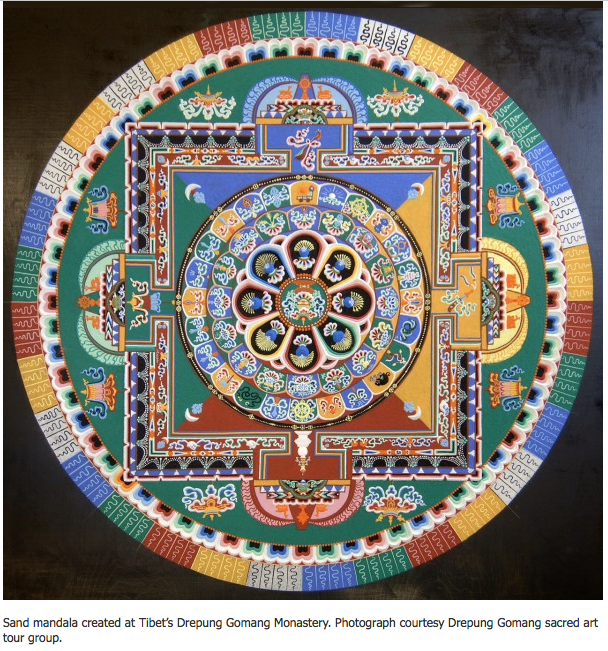 Mandalas are sacred sand paintings found in many traditions, including those of Buddhists, Hindus, and the Navajo. These intricate designs represent wholeness and interconnectedness and are made by meticulously placing millions of grains of colored sand on a flat surface or platform. Typically the process takes days or weeks. When the paintings are finished, they are deconstructed, often by sweeping the sand into the wind or water. In many ways, this is akin to the scattering of ashes after a funeral. To me, this would be a creative and respectful end for the elephant ivory. While the deconstruction serves as a metaphor for the impermanence of life, it is also meant to bring healing. Each grain of sand carries a healing blessing that then spreads throughout the world. Both aspects of the mandala—the process of its creation and the process of letting it go—symbolize how we are connected and are supposed to provide comfort, peace, and wisdom. Mandalas are also believed to generate positive energy and help transform ordinary minds into enlightened ones. 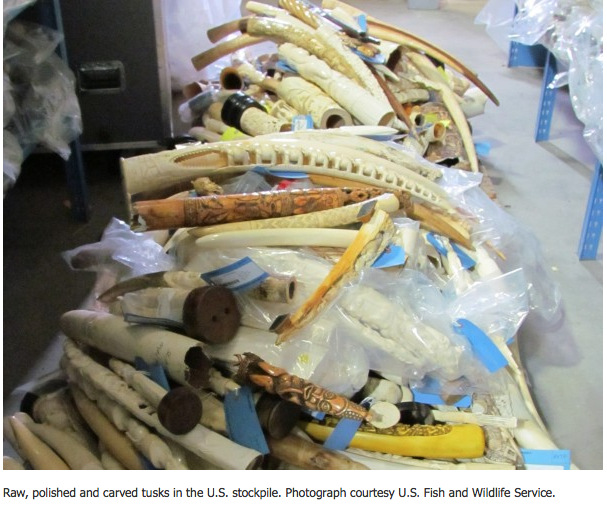 That’s what is urgently needed to stop ivory trafficking and the poaching crisis. In reflecting on the upcoming crush, I only hope that whatever is done with the remains will stand as a fitting memorial to the victims of ivory trafficking and perhaps go some way toward encouraging people to help those elephants still living. Let us take our cue from the elephants themselves. They teach us (in the words of Kenyan conservationist Daphne Sheldrick) to “focus on the living, rather than the dead, knowing that the dead are beyond any more suffering and pain, and that one has, at least, afforded them a comfortable end surrounded by compassion and love. Let us honor the elephants fully by banning the trade and refusing to buy ivory. View this article on National Geographic.